This week we participated in the unconference Rethinking Research (Disrupting and Challenging Research Practices) organized by the Center for Research Capability and Development at Coventry University. 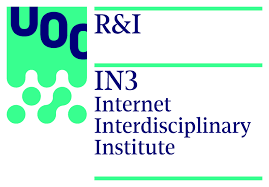 Inspired by publications such as The Slow Professor (Berg and Seeber, 2016), The Academic Book of the Future (Lyons and Rayner, 2016), or Creativity and the Knowledge Economy (Peters and Marginson, 2008), the meeting proposed an intense one-day program in which to rethink the role of researchers, new dynamics of generating and sharing knowledge and working in academic institutions. 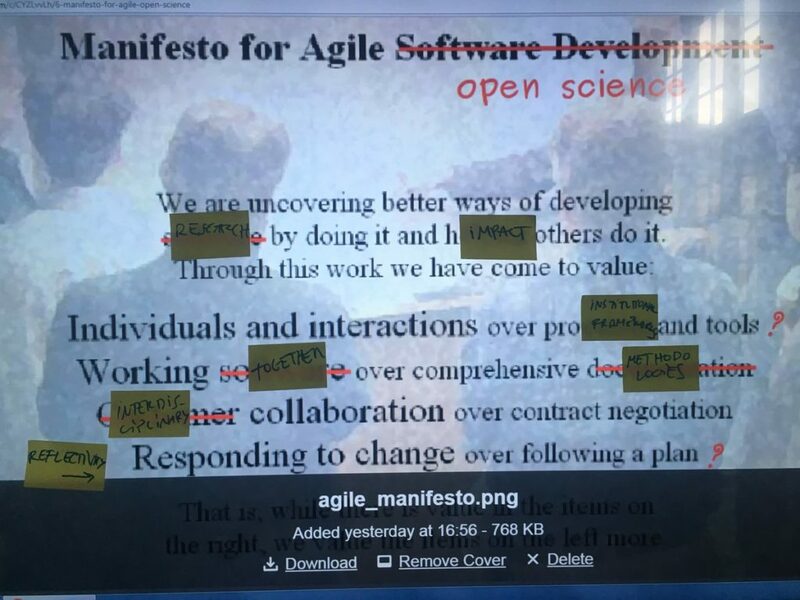 Enric Senabre facilitated a session on Agile adoption for research processes, around his PhD project, based on case analysis and interviews around working groups in CECAN, Dimmons and other contexts that are experimenting with the principles and Scrum or Kanban practices. Through the session participants could discuss methodologies around “agility”, rethink the Agile manifesto to adapt it to the academic environment, as well as test specific dynamics such as the estimation of tasks through “planning poker“. As for other relevant sessions, highlight the one given by Luca Morini of Coventry University around “Hacking the University Game”, where the participants could consider how the evolution of board games and in general “gamification” are also an opportunity to start processes where to rethink the university itself. 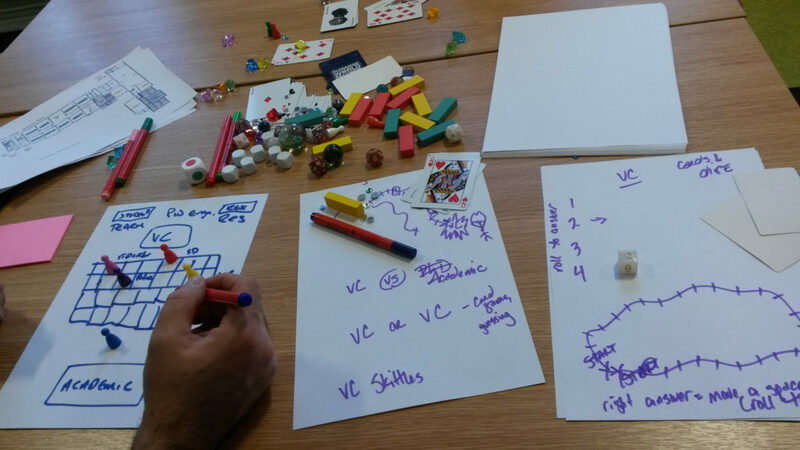 Specifically, the workshop allowed brief exercises of prototyping of board games to rethink roles or strategies in different university roles and processes. Another noteworthy session was “Ideas Hub: can we teach how to interdisciplinary?”, where from the Hub of transdisciplinary research of the Wellcome Collection of London, created to support initiatives in which art, social sciences, health and citizen participation combine to solve current challenges in different areas. Specifically, the “Created out of mind” initiative in residence at the Hub was presented, where a large team of artists and researchers from different disciplines work to advance action-research initiatives around dementia. For this, the project manager articulated a series of research focuses in a coordinated way with patients, museum visitors, painters, choreographers and qualitative approaches through which new ways of treatment and improvement of the quality of life of people are being opened. and families with that problem. 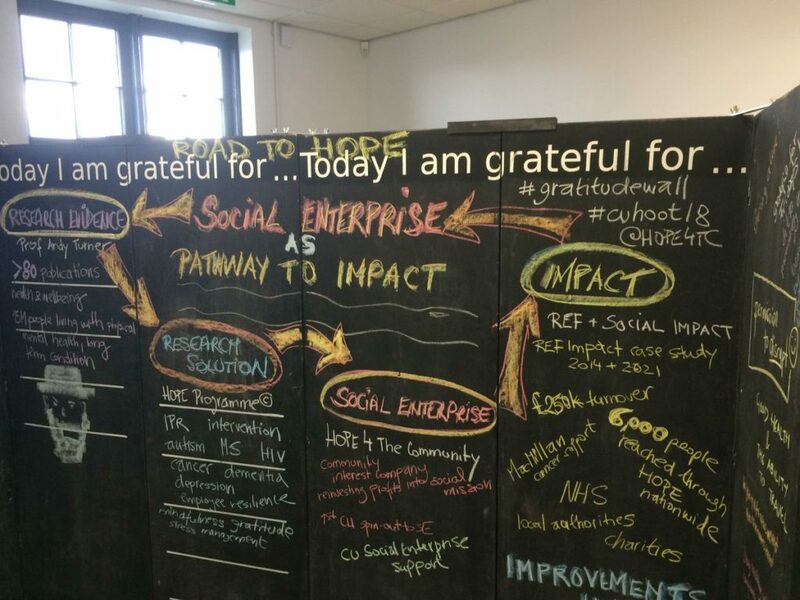 Another remarkable experience was the installation HOPE, Enterprise, and Gratitude, a transportable wall that is being used so that located in the public space or the headquarters of different communities, participants can write on it messages of gratitude that the rest can see (video here). Analyzing the messages and reactions of the people, the research team after the project advances in the recognition of positive attitudes, opportunities and problems that can later be addressed from other action-research interventions, focusing on the idea that the expression of gratitude improves mental health. Finally, the keynote of Geof Hill (Birmingham City University), “Performative modes of (research) dissemination” closed the day with a format of … Cabaret! During his performance, the researcher combined reading with singing phases in which he explained his peculiar trajectory by going beyond the written format to present knowledge, in this case in a performative way (for the satisfaction of the attendees). Dr. Geof Hill has been teaching research supervision to academic staff at universities in Australia and UK. His teaching appointments arose out of his doctoral research into the ways in which post positivist inquiry is undertaken, supervised and examined. His dissertation included a cabaret called “Doing a doctorate” which he asked questions about how research is disseminated. Geof has been presenting one-man cabarets as academic presentations throughout his academic career.